Even the Union government was complicit in a decision that will result in consumers in the state paying higher electricity prices. More than 2,500 companies are facing insolvency proceedings in India, with bankers seizing their assets and selling them off to recover their loans. But the Gautam Adani-led Adani Group narrowly escaped this fate late last year on the intervention of Bharatiya Janata Party-led governments at the Centre and in Gujarat. 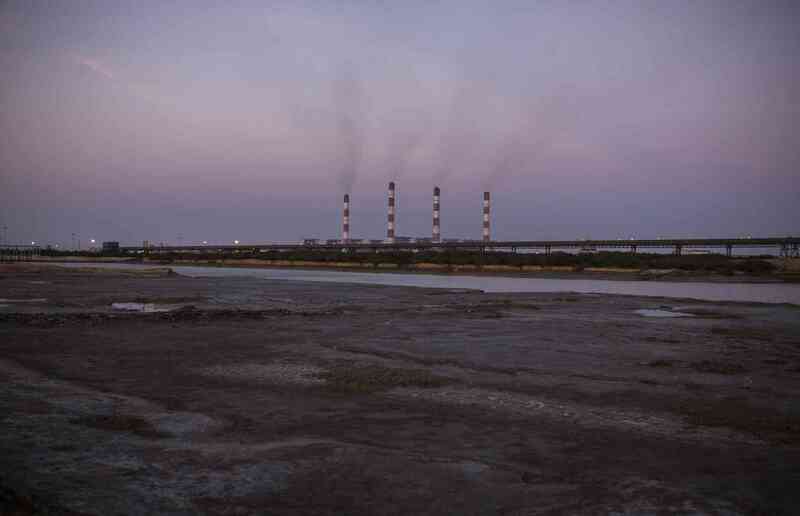 In December 2018, the Gujarat government passed an order allowing an Adani thermal power project to charge higher prices for electricity, despite the Supreme Court ruling against this in 2017. The order will raise electricity prices for consumers in the state, while saving the Adani project from bankruptcy. 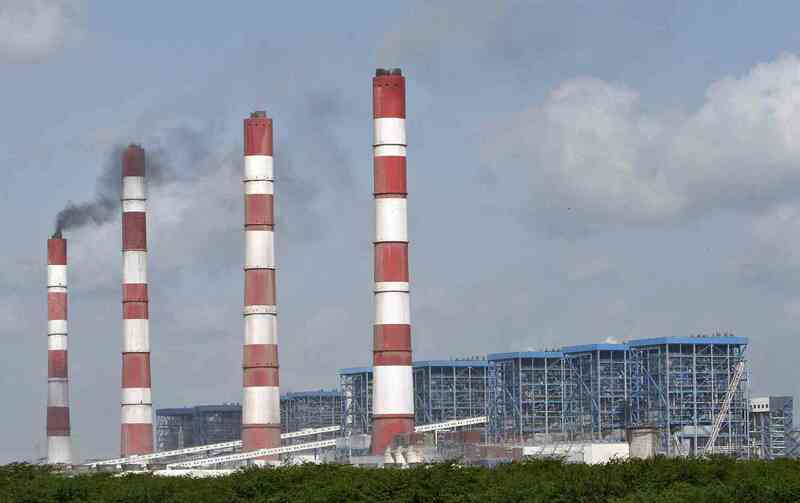 Adani Power Limited, which is the thermal power subsidiary of the Adani Group, had argued that lower electricity prices were bleeding the project and eroding its ability to repay debts. The project, which is located in Mundra on Gujarat’s coast, has the capacity to produce 4,620 megawatts of electricity. Of this, 2,000 megawatts has been contracted to Gujarat Urja Vikas Nigam, the state electricity distribution company with which Adani signed agreements in 2007. 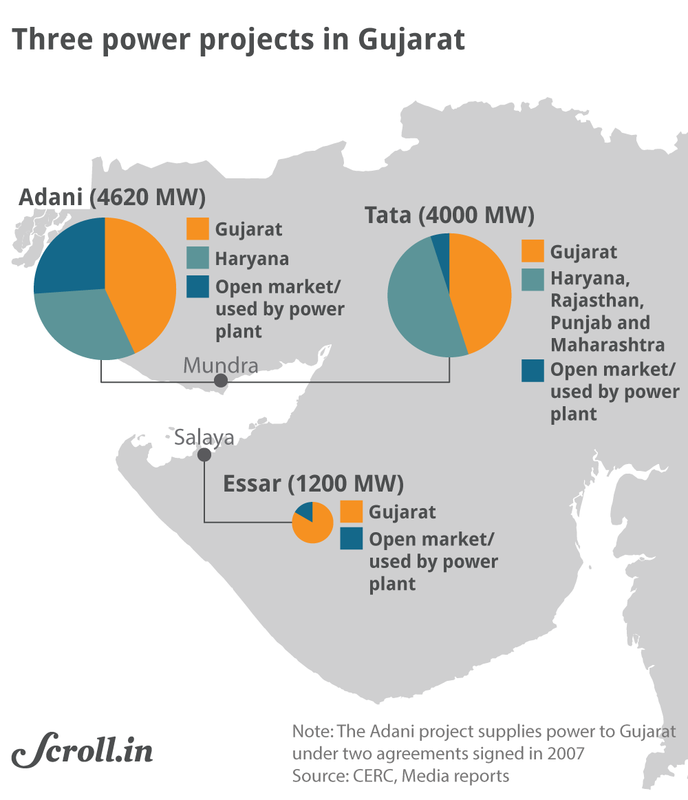 In 2010, even before the construction of the project was complete, Adani argued that Gujarat should renegotiate the agreement and allow it to sell power at a higher price since the price of Indonesian coal, which it used as a raw material, had gone up. After years of litigation, in April 2017, the Supreme Court struck down this argument. “It is clear that an unexpected rise in the price of coal will not absolve the generating companies from performing their part of the contract for the very good reason that when they submitted their bids, this was a risk they knowingly took,” the court said. The Supreme Court also pointed out that the agreements do not state that “coal is to be procured only from Indonesia at a particular price”. Earlier, the company had petitioned the Central Energy Regulatory Commission asking for a tariff revision. One of its members, S Jayaraman, had emphasised a striking fact in a dissenting order in 2013. Despite this, in December 2018, after the Union Ministry of Power held meetings to discuss the matter, Gujarat government passed an order allowing Adani to sell power at higher prices to Gujarat Urja Vikas Nigam, which in turn was allowed to raise the tariffs for consumers. This is called “coal pass-through” in industry circles since the higher cost of coal is passed on to the final consumers. The Gujarat government order extricated the Mundra power project from potential insolvency proceedings. “With coal pass-through, the asset is now good for the long-term,” said the head of an investment firm in Mumbai, who did not want to be identified. The Adani Group declined to respond to Scroll.in’s questions. A spokesperson said the matter was sub-judice. Questions emailed to the Gujarat government and the Union Power Ministry went unanswered. Two other projects stand to similarly benefit from the December 2018 order – Tata Power and Essar Power, both of which have thermal power projects in Gujarat that are based on imported coal. But a close analysis of events since 2011 shows that Adani Power took the lead in securing the tariff revision. In February 2006, Gujarat Urja Vikas Nigam published three tenders inviting bids from power generating companies. In response to the first tender, Power Trading Corporation, a public-private partnership set up by the Indian government to create and run the country’s power trading market, offered to supply the state 440 MW from two power projects at Rs 3.2502 and Rs 3.4947 per unit. Jindal Power bid Rs 3.4801 per unit for 150 MW. The Adani Group initially bid at Rs 3.7038 per unit for 500 MW, but later revised it to Rs 2.89 per unit and won. The decision to allow Adani to revise its bid – while denying the other two companies a chance to respond – was held as “discriminatory and arbitrary” by the Gujarat High Court in a judgement delivered on September 24, 2007. At the time, Narendra Modi was the chief minister of Gujarat and also held the power portfolio. For the second tender, Adani was the sole bidder, offering to sell electricity at Rs 2.35 per unit. The company later supplied this electricity from the Mundra project. The third tender explicitly invited bids from projects based only on imported coal. It was won by Essar Power Limited, which bid Rs 2.40 per unit. By this time, the government of India had invited bids for coastal ultra mega power projects based on imported coal. Here, Tata Power quoted Rs 2.26 per unit, winning the tender for a project in Mundra, and signed power purchase agreements with the distribution companies of Gujarat, Maharashtra, Rajasthan, Punjab and Haryana. Two years after signing the agreements, in 2009, Adani Power terminated one of them, saying the bid price of Rs 2.35 per unit had hinged on Gujarat Mineral Development Corporation supplying coal for its project. In the absence of assured domestic coal, it claimed the project was unviable. This claim was disputed by Gujarat Mineral Development Corporation and the Gujarat Urja Vikas Nigam, which averred that there was no such commitment. They pointed out that Adani Power had stated in its Director’s Report, Annual Report as well as its Initial Public Offer prospectus filed with Securities and Exchange Board of India that it had an agreement with Adani Enterprises for the supply of coal. A subsidiary of Adani Enterprises, called PT Adani Global, owns and operates mines in Indonesia. An excerpt from the Draft Red Herring Prospectus filed by Adani Power in 2008. The position of the Gujarat state utilities was upheld by Gujarat Electricity Regulatory Commission on August 31, 2010. By then, a fresh dispute had arisen. On September 27, 2010, a month after the unfavourable order from the Gujarat Electricity Regulatory Commission, Adani Enterprises wrote to Gujarat Urja Vikas Nigam Limited again expressing its inability to supply power. Four days earlier, on September 23, 2010, Indonesia’s Ministry of Energy and Mineral Resources had introduced a new regulation that mandated that coal exported from the country should be sold at a price aligned to the international benchmark price for that grade. In a petition filed before the Central Electricity Regulatory Commission, Adani said the new regulation had increased its coal cost by 153%. It claimed this would lead to an annual loss of Rs 790 crore to supply power to Gujarat and Rs 580 crore to supply power to Haryana. The company made three arguments – one economic and two legal – for why the power purchase agreement should be renegotiated. If it were to run at a loss, it said, the net worth of the Mundra power project would get eroded in about two years. The company also argued that Indonesia’s decision to increase rates had created a force majeure situation, or a situation outside the control of the company, as well as constituted a change of law. Both conditions allow a renegotiation of power purchase agreements, it said. The Adani petition was challenged by the state power utilities. They said that Adani Enterprises had not opted for “any escalation on the tariff of 25 years period either in the capacity charges or in the variable/energy charges though the bid terms issued provided the option to bidders”. 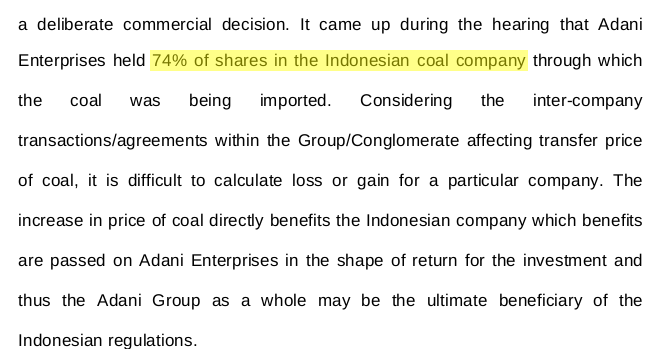 Further, the Gujarat utilities claimed that Adani Enterprises held 74% equity share in the Indonesian coal company from which it was importing coal. An excerpt from the minority order of the Central Electricity Regulatory Commission. Adani Power’s Draft Red Herring Prospectus, dated April 30, 2008, says Adani’s Mundra project will run on Indonesian coal from Bunyu Island. On the island, a subsidiary of PT Adani Global called Lamindo Inter Multikon has been mining coal under a license issued in 2007. In an affidavit to the Central Electricity Regulatory Commission, however, Adani claimed the coal from Bunyu was of an inferior quality, which necessitated an agreement with another company called Dua Samudera Perkasa for an annual supply of 10 million tonnes of coal. On April 4, 2013, Central Electricity Regulatory Commission issued two orders. The majority order, by CERC chairperson Pramod Deo and members VS Verma and M Deena Dayalan, concluded that “the effect of price escalation of coal as a result of Indonesian Regulations cannot be covered under the provisions of ‘change in law’ or ‘force majeure’”. But it accepted Adani Enterprises’ submission that the current price would make the power plant unviable, which would “adversely affect the electricity sector and interest of the consumers”. It recommended that all parties constitute a committee to examine the possibility of a “compensation package” that would be over and above the tariff agreed in the power purchase agreements. A minority order by Jayaraman disagreed with this recommendation. The power purchase agreement, he wrote, is not contingent on fuel supply agreements between Adani Enterprises and Adani Power. Nothing prevents the petitioner from arranging coal from alternative sources to discharge its obligations under the power purchase agreement, he said. His order also touched on the question of Adani Power sourcing coal from a group subsidiary in Indonesia. “The increase in price of coal directly benefits the Indonesian company which benefits are passed on Adani Enterprises in the shape of return for the investment and thus the Adani Group as a whole may be the ultimate beneficiary of the Indonesian regulations,” he said. Earlier, in 2014, the Department of Revenue Intelligence had unearthed an alleged Rs 29,000 crore-scam involving inflation of imported coal bills. Companies importing Indonesian coal, it said, were routing invoices through intermediaries based in Singapore, Hong Kong, Dubai and British Virgin Islands, even though the coal was being shipped directly to India, it said. This was done to artificially inflate coal prices to enable power-generating companies to charge higher tariffs for electricity. The Adani Group featured in the list of 40 companies that the Department of Revenue Intelligence has investigated. On February 21, 2014, the Central Electricity Regulatory Commission ordered compensatory tariffs for the Adani project based on the recommendation by the committee formed to examine the matter. The Appellate Tribunal approved the tariffs on April 7, 2016. By this time, the Bharatiya Janata Party was in power at the Centre. The Gujarat state utilities did not appeal against the tribunal’s decision. Two non-profit organisations, Prayas and Energy Watchdog, however, went to the Supreme Court. In an order on April 11, 2017, the Supreme Court set aside the orders of the Central Electricity Regulatory Commission and Appellate Tribunal which had allowed compensatory tariffs. It said that nowhere do the power purchase agreements state that coal is to be procured only from Indonesia at a particular price. “It is clear that an unexpected rise in the price of coal will not absolve the generating companies from performing their part of the contract for the very good reason that when they submitted their bids, this was a risk they knowingly took,” it said. The court added that “changes in the cost of fuel, or the agreement becoming onerous to perform, are not treated as force majeure events under the PPA [power purchase agreement] itself”. It also dismissed the argument that the “change in law” clause in the agreement included foreign law as well. However, it asked the Central Electricity Regulatory Commission to examine the matter afresh and determine what relief should be granted to these power generators, in case changes in domestic law affected the power purchase agreements. 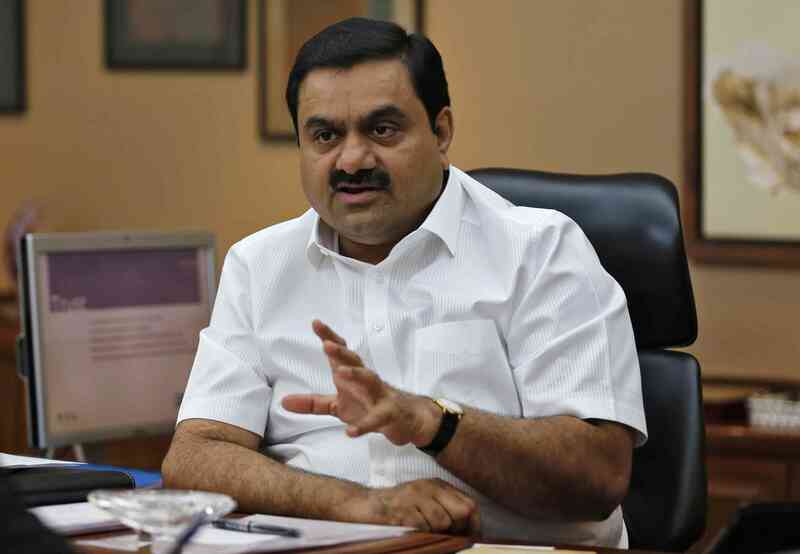 Through this period, Adani Enterprises claimed its Mundra project was bleeding. In February 2017, a report by Credit Suisse listed Adani Power among India’s most indebted companies. In September 2017, Bloomberg Quint reported Adani Power had lost nearly all its investment in the project. Earlier, its enterprise value – roughly, what it would cost to buy the power project – stood at Rs 22,475 crore. Now, it claimed the unit’s debt stood at Rs 21,707 crore, giving it an market value of just Rs 106 crore. In December 2017, Essar stopped supplying power to Gujarat Urja Vikas Nigam Limited. A report in the Financial Express attributed this to a shortage of coal. In January 2018, Adani followed suit. In June 2018, the company’s offer to sell 51% in the debt-strapped Adani Mundra for a token Rs 1 fell through. 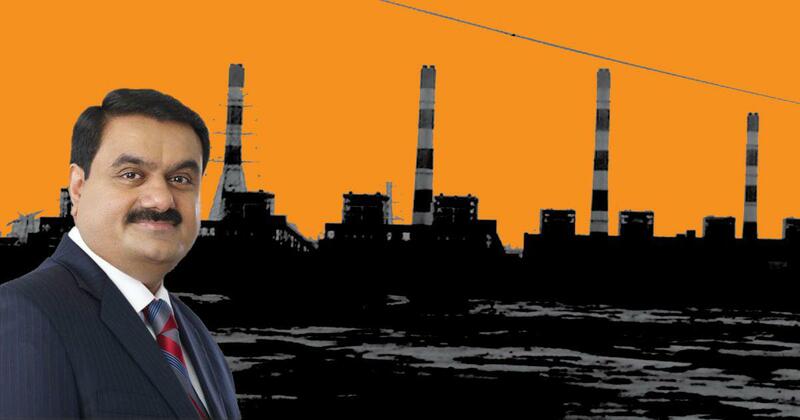 “In that case, Adani Power will have to look for viable options to clear its defaults,” an official of the Gujarat Urja Vikas Nigam Limited told Business Standard. One of the possibility, he said, was insolvency proceedings. That would have made the Mundra project the first from the Adani Group to go under the hammer. But the BJP governments intervened and ensured that did not happen. The generators in this case were Adani, Tata and Essar, and the states were Rajasthan, Maharashtra, Punjab and Haryana, apart from Gujarat. On June 20, 2017, the Union Ministry of Power called a meeting of lenders, developers and state government officials to “discuss options for resolving the financial distress being faced by the three Generators and also consequently resolve the potential insolvency threat faced by the lenders”. After the meeting, a working group was set up with representatives from the states and three public sector banks that had lent money to these projects. It drafted a report that was informally circulated in January 2018. On the request of the State Bank of India, another committee was set up by Gujarat government in July 2018 to examine this draft report. Its members were former Supreme Court justice RK Agrawal, former Reserve Bank of India deputy governor SS Mundra and former chairperson of the Central Electricity Regulatory Commission, Pramod Deo, who had passed the majority order in 2014. Its mandate makes for interesting reading. 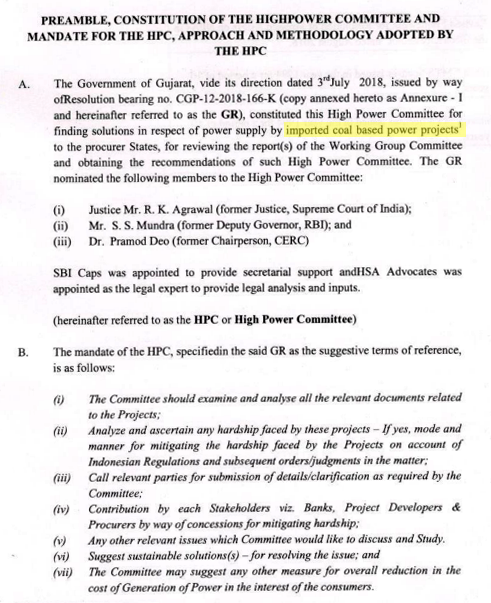 It starts by saying the committee had been constituted for “finding solutions in respect of imported coal based power projects” but the footnote made it clear that only three projects were being considered: Adani Mundra, Tata Mundra and Essar Salaya. The footnote mentioned only three projects. India has no less than 2,511 companies facing insolvency proceedings, with 34 stranded power projects. But a committee was set up to focus on just three projects. The committee had to “analyse and ascertain any hardship faced by these projects – if yes, mode and manner for mitigating the hardship faced by the projects on account of Indonesian regulations…”. These were the very questions the Central Electricity Regulatory Commission and Supreme Court had studied. None of them had found merit in Adani Enterprises’ submissions seeking relief. The committee was set up, said the former Gujarat bureaucrat, “even though the SC had said there was no ground for a relief. It had already adjudicated on this issue”. At the same time, an investigation was still underway about the over-invoicing of imported coal. Yet, the Ministry of Power and the Gujarat government decided these three companies were facing hardship all the same. The committee submitted its report in October, 2018. It argued that the interest of the state companies and consumers lay in salvaging these projects. Without these, the electricity generated by these projects would have to be replaced from other sources and prices would further go up. Arguing that the state government is allowed, under the Supreme Court order, to amend existing power purchase agreements, the report suggested fixed costs of the projects be brought down. This meant banks would have to give up their claims to Rs 10,000 crore lent to these projects. The committee also recommended that while past losses are borne by the project proponents, future tariffs are raised, allowing the higher cost of coal to be passed through to the end consumers. According to analysts quoted in Financial Express, this increase could be as high as 80 paise per unit. The Gujarat government took the report to the Supreme Court which, on October 30, 2018, asked the Central Electricity Regulatory Commission to evaluate the proposed changes. Even before the commission could complete the evaluation, on December 3, 2018, the Gujarat government passed an order accepting the committee’s report and allowed higher coal costs to be passed on to consumers. But there is a larger question: why did the state and central governments bend over backwards to accommodate three projects when 2,511 other companies have queued up before insolvency courts? According to a report in June 2018 by Credit Suisse, 34 thermal power projects, with a total of 40,000 megawatts of power capacity and Rs 1.75 trillion of debt, are facing insolvency proceedings in India. In many cases, the projects could not repay debts because of factors outside their control such as delays in the delivery of equipment and policy shifts like coal-block deallocation or demonetisation which hurt demand for industrial products, leading to a slump in demand for power. Some of these projects could have rehabilitated quite easily – one project needed just a working capital loan to continue operating. Scroll.in sent questions to Saurabh Patel, the minister for energy in Gujarat, and Raj Kumar Singh, minister of state for energy in the Union government, asking why the government singled out these three projects for attention. They were also asked whether the decision factored in the observations made by the dissenting order in the Central Electricity Regulatory Commission, the Supreme Court order and the Department of Revenue Intelligence’s ongoing investigation into the over-invoicing of imported coal. 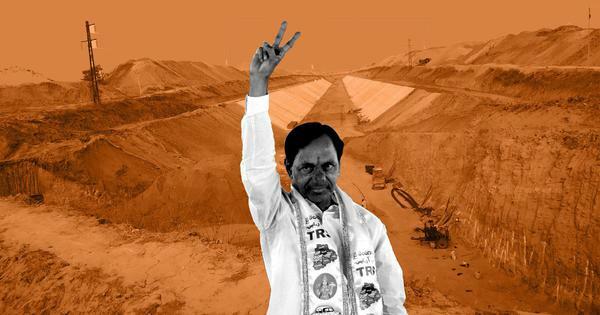 Have Andhra companies cornered contracts in Telangana’s largest irrigation project?